Want to elevate your Slack messages? 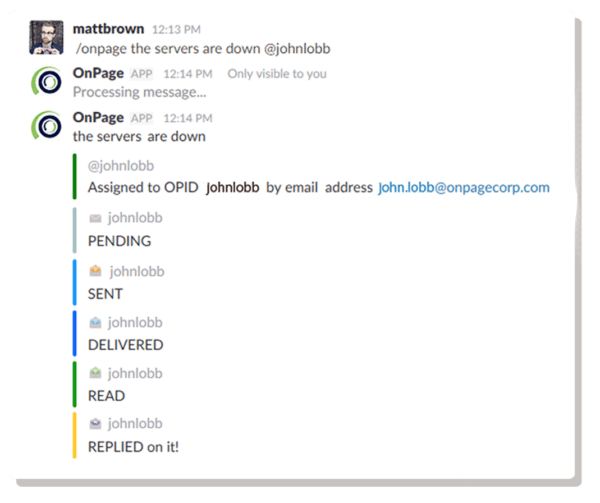 OnPage secure messaging and Incident Alert Management System is used by IT, DevOps, MSPs and Healthcare professionals. We ensure that important notifications get to the right person at the right time. 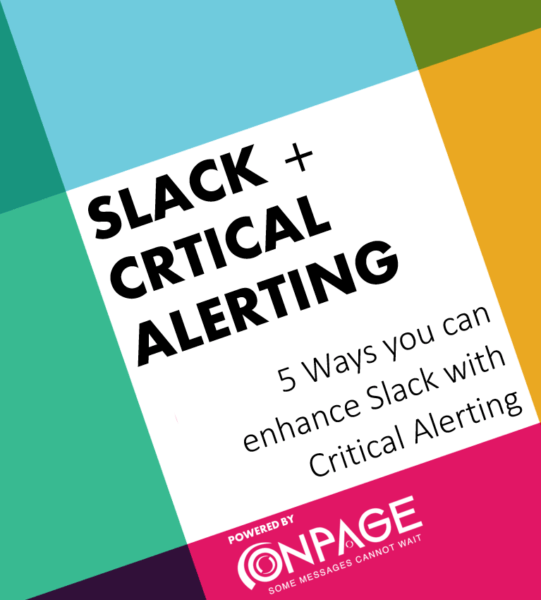 By integrating with Slack, users can send a critical message from the Slack thread to an OnPage user as an urgent message with Alert-Until-Read notifications. The recipient can then answer and have their response immediately integrated into the Slack channel. Conversations are thus enhanced and issue resolution is expedited. Setting up the Slack/OnPage integration is easy and effortless, allowing important exchanges to begin almost instantly. OnPage application requires a paid account but also has a free trial period. Use Case - Elevate critical messages right from the Slack thread! The relevant individual is then alerted on the OnPage app on their smartphone and is now aware of the issue. If however, the engineer that was alerted is not available, the OnPage algorithm will escalate the alert and send to the next person on-call. Once alerted, the engineer can now address the important issue or start a conversation on a separate Slack channel away from the noise of the regular conversation. Go to https://slack.onpage.com and login using your OnPage Dispatcher credentials. 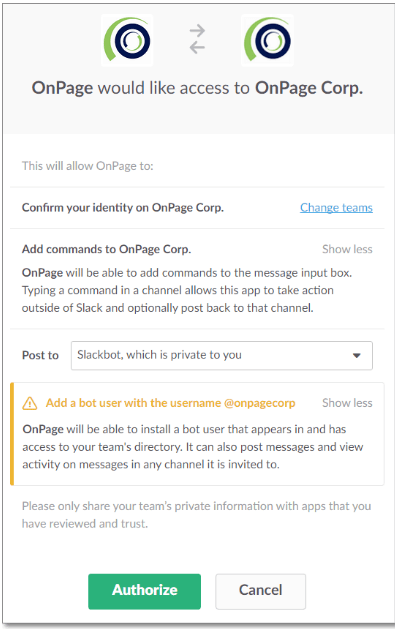 Click on the “add to Slack” button and authorize the OnPage Application. Type slash command /onpage help in Slack to get more usage instructions. Start communicating with Slack and elevate critical conversations to OnPage. We live in a world of Slack messages and alert notifications and if you work in IT, you probably are buried in an avalanche of alerts! That way, you can make sure your critical alerts don’t get buried and your team’s Slack messaging can easily flow into resolving important issues.